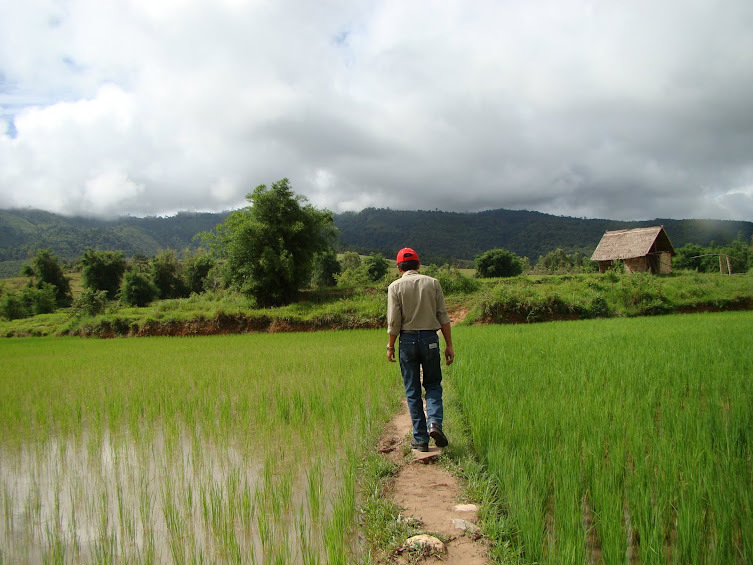 Good Works in Laos – Patrick F. Clarkin, Ph.D. I never do this, but I’m asking people to check out a few sites that do good work related to Laos, and possibly consider donating to them. The first, The Plain of Jars Project, was recently brought to my attention by its founder, Jon Witsell. This is borne directly out of the Lone Buffalo Foundation, named after Manophet Lonebuffalo, who I wrote about on this blog a couple of years ago after I learned that he had passed away from a stroke (and far too young). I met Manophet in the town of Phonsavanh in 2009 on a trip that was very meaningful to me. I only knew him for a few days, but he made an impression. I saw some of the good work he did with children and teenagers, teaching them English in his home and coaching football (soccer) in the field across the road. Those were his evening jobs. In the day, he also worked for the Japanese Mine Action Service, which helps remove the bombs that the US dropped on Laos during the war years. He was also an excellent tour guide and a single father of three boys. He seemed to touch the hearts of many, and it’s no wonder that the people at The Plain of Jars Project would want to continue the good work he did. They have a fundraiser at startsomegood.com. The video below explains their goals, which include teaching boys and girls English, soccer, and awareness of avoiding unexploded ordnance (UXO). The second is the project Legacies of War, started and run by Channapha Khamvongsa. They are based in Washington DC, but are dedicated to raising awareness of the US bombing of Laos during the Vietnam War era, and they were instrumental in getting the US to increase funding to help clear some of the UXO there. Channapha is a tireless advocate for Laos, and someone whose work and kind heart I’ve admired for a while now. Last, but not least, is COPE (Cooperative Orthotic and Prosthetic Enterprise), which has five rehabilitation centers in Laos. Their mission is to help survivors of UXO with the care they need, including providing prosthetic and mobility devices and rehabilitation to people who often cannot afford them. They are locally staffed, though one of their founding members is Mike Boddington, who has a long history researching and helping people affected or disabled by UXO. There are lots of good causes out there, and I’m open to hearing about more of them. These are just a handful of ones pertaining to Laos that I think are worthy. Finally, please consider sharing this post or the specific projects with others. Even small donations can go a long way. Many small donations go even further. Thanks. Hillary Clinton at the COPE Visitor Center in Vientiane (2012). This entry was posted in Laos and tagged Non-profit, UXO. Bookmark the permalink. Thank you, Lanhxai. However, I should point out that these are not my projects, but those done by others. I am just sharing them with people. Is there a link for FB posting purposes?